Tim Maddrix and LPF, LLC’s LPF Woodward won the $10,000 USJHA International Hunter Derby at the Gulf Coast Winter Classic in Pensacola. Maddrix of Birmingham, Alabama and his mounts owned the hunter rings Friday at the Gulf Coast Winter Classics in Pensacola winning both first and second place finishes in the $10,000 USHJA International Hunter Derby, presented by eAwardz as well as the win in the $2,500 USHJA National Hunter Derby. Maddrix and the Dutch Warmblood, LPF Woodward, owned by LPF, LLC won the $10,000 USHJA International Hunter Derby, presented by eAwardz and rode in on Special, owned by Missy Nolen to collect second place. He also pulled an eighth place finish in the irons of LPF, LLC’s LPF Lost Shaker of Salt. 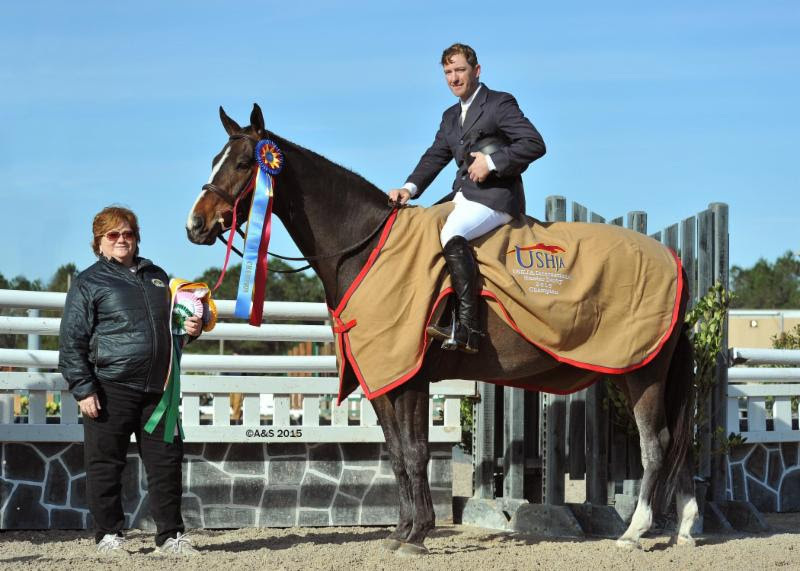 Maddrix then went on to win the $2,500 USHJA National Hunter Derby in the irons of Life is Good, owned by Missy Nolan. Renowned Hunter rider, Holly Shepherd of Grand Bay, Alabama and Loretta Patterson’s Manchester took home the third place honors and up and coming Junior rider, Britney Jarman of Pace, Florida rode her own Verano to the fourth place finish. Matt Martin of Petersburg, Tennessee rode Diamonds and Gold, owned by Alliah Kassem to the fifth place finish. Shepherd returned for the sixth place ribbon, this time in the irons ofFlamboyant, owned by Debbie Holland, and seventh place was awarded to Martin and Newcastle, owned by Jordon Crompton. For more results on this class, please visit horseshowsonline.com. Janet McCarroll, Gulf Coast Classic’s Show Coordinator, presents Maddrix with the winning honors in the International Hunter Derby. 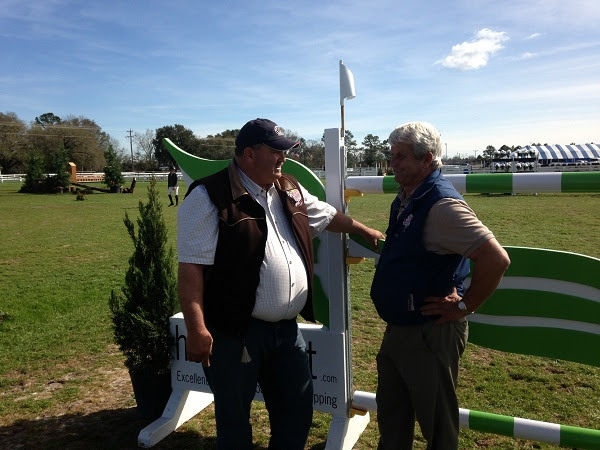 Course designer, Paul Jewell of Lambertville, New Jersey commented, “I think it was great to see our wonderful horses here in Pensacola on a nice, smooth, flowing track for the first derby of the year. The weather is great and the horses went well and turned out great scores. I’m very happy with the turnout and performance of all the horses,” he said. The $2,500 USHJA National Hunter Derby awarded the blue to Maddrix and Life is Good, owned by Missy Nolan. The second place finisher was Cordino, owned by Augustin Walch and ridden by Emily Hurtz of Eads, Tennessee. Third place was awarded to Ultaire, owned by Janet McCarroll and ridden by Merrin Mueller of Long Beach, Mississippi. Fourth place honors fell to Michael Kocher in the irons of Abigail Beatty’s Third Day and Audrey Muscari of Germantown, Tennessee rode her own Rockin La Bamba to fifth place honors. For more information on this class, please visit horseshowsonline.com. Back for another win! 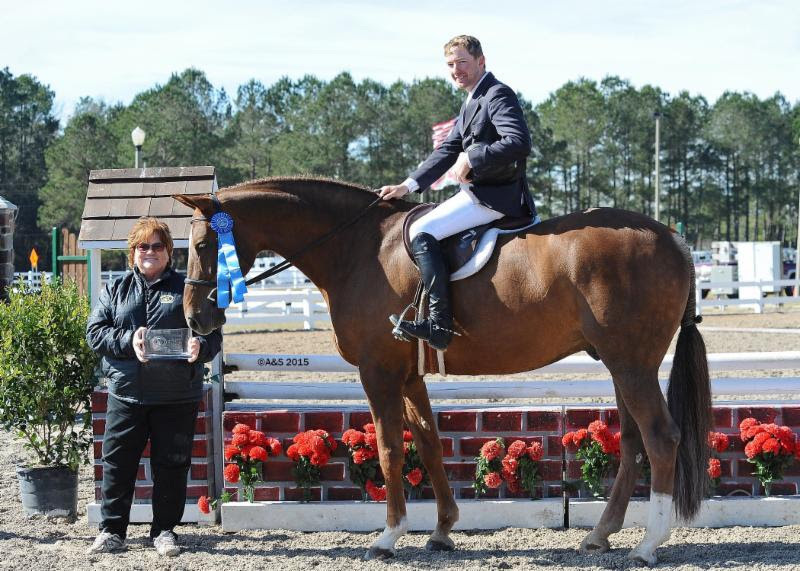 Maddrix and Life is Good collect the winning honors for the $2,500 National Hunter Derbies from Gulf Coast Classic Show Coordinator, Janet McCarroll. 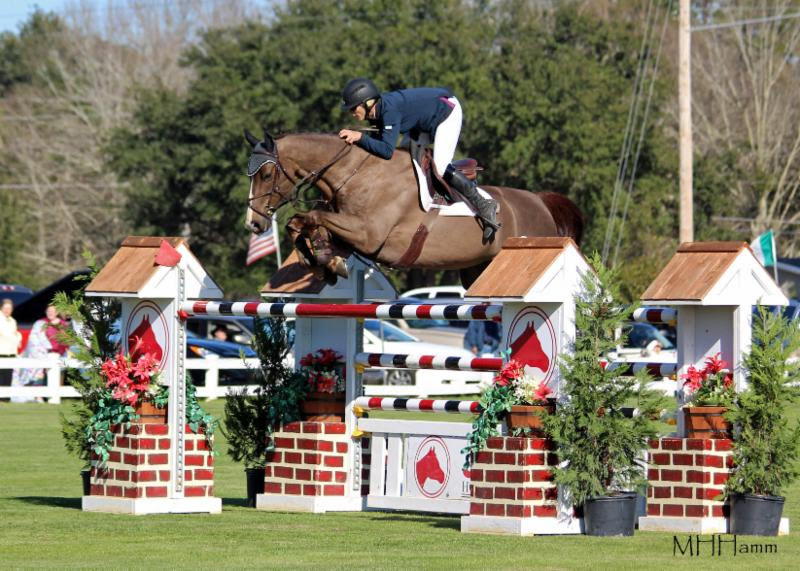 Stay tuned for more news from the jumper arenas at the Gulf Coast Winter Classics in Pensacola! What’s next? Week III at the Gulf Coast Winter Classics in Pensacola will be offering the $1,000 Handy Hunter Hack with no entry fee! This is a special offering open to Children’s and Adult Amateur riders from whose home zone is Zone 4. Riders are eligible if they are current members of USEF and USHJA. There is NO ENTRY FEE to participate in this $1,000 Classic! The USHJA Zone 4 Hunter Committee has created this program to provide Handy Hunter Classics which test skills riders and their horses might use during an enjoyable day of foxhunting combining the elements of flat and over-fences classes. A handy hunter is a horse or pony that is very easy to maneuver around a course in a ring or in the hunt field. 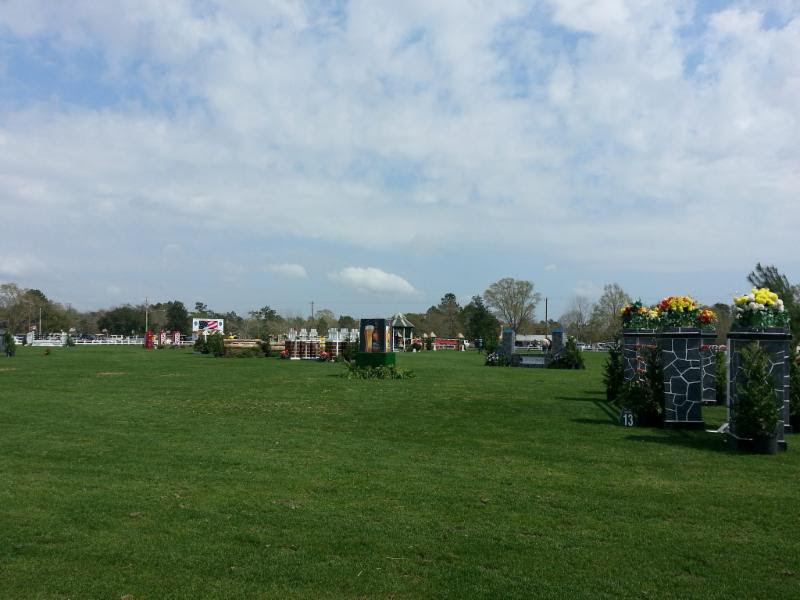 Different elements that might be seen in a handy hunter course include, but are not limited to, fences at the gallop, rollbacks, trot fences, a gate to open and/or close from the horse’s back, etc. This class may not be appropriate for a green horse/pony or a novice rider but check out the specs in the show office! 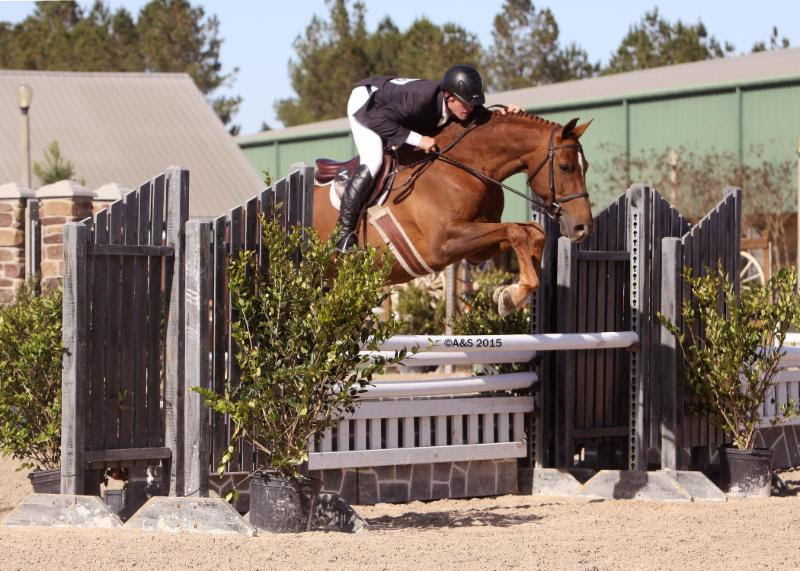 The Escambia County Equestrian Center is home to the Gulf Coast Winter Classics in Pensacola for three weeks and offers a huge covered arena, beautiful outdoor arenas, plenty of stabling in permanent barns with large stalls, indoor wash racks and roomy aisles. On-site RV pads with water and electric hook up are available and scenic riding trails are also a part of the equestrian center. Top hotels are just minutes from the show grounds offering plenty of lodging choices for those with and without pets. The quaint, historic town of Pensacola is a favorite among exhibitors. World class shopping and dining on the Gulf of Mexico, just a fifteen minute drive from the show grounds make for great Mondays for everyone in your barn! Partner hotel The Red Roof Inn offers special rates for those showing in Pensacola. Red Roof Inn is a pet-friendly hotel in close proximity to the show grounds that offers complimentary Internet access, breakfasts and parking. Select rooms offer microwaves and mini-fridges. Coin laundry is available. Book your rooms early and remember to mention that you are showing at the Gulf Coast Classic Pensacola shows! “I’ve stayed at Red Roof Inn Pensacola and it is a wonderful place to come home to after a long day at the show. The rooms are immaculate, the staff is professional and nice and they are pet friendly, which works for me and my dog Ellie,” commented Classic Company President, Bob Bell. Make sure to book your room and mention that you are showing at the Gulf Coast Classic Pensacola shows! THE GRASS IS GREENER IN GULFPORT! The grass turf grand prix field is the best in the country. February 4th kicks off the Gulf Coast Winter Classics in Gulfport, THE place to show! With more than a million in prize money and awards, the best grand prix turf field in the show world and the best management staff, add to that its Mississippi Gulf Coast location complete with beachfront hotels and condos and some of the best seafood and fishing in the country and you have a winner! Best sunsets in the world-everyday at the Gulf Coast Winter Classics. and the new footing in Jumper 1 and the schooling area is installed and looking great!” said Bob Bell, President of the Gulf Coast Classic Company. The Gulf Coast Winter Classics start on February 4 and run throughMarch 15th-that’s right! Its Mardi Gras season. Only an hour from New Orleans, what a great way to spend your Mondays-let the good times roll! The grand prix field complete with the beautifully decorated jumps for top competition. Six hundred eight permanent stalls and more than 500 tent stalls are available. Strict bio-security measures have always made these show grounds a safe-haven for all horses. Complimentary riders’ lounges at the jumper and hunter rings, VIP service and tables offer a full cash bar and delightful meals and snacks Thursday through Sundays. More than 130 RV spots complete with electric and water hooks ups are available as well as partnerships with world-class hotels located just a short drive from the show grounds. The Residence Inn by Marriott and the Hilton Garden Inn are a 10 minute drive to the show grounds and adjacent to the Biloxi International Airport. The Residence Inn by Marriott is pet-friendly and offers special exhibitor rates in addition to the Manager’s Reception three times a week and a complimentary hot breakfast every day! Click here to book your room at the discounted rate. Course Designers collaborate at the Gulf Coast Winter Classics. Allen Rheinheimer (left) is the Technical Coordinator for the World Cup in Las Vegas and Steve Stephens is an Olympic course designer. The Hilton Garden Inn is located next door to the Residence Inn by Marriott and offers an onsite restaurant and bar, complimentary WIFI, fitness center and outdoor pool and special discount rates for those showing at the Gulf Coast Winter Classics! A mile from the airport and just ten minutes from the show grounds, the Hilton Garden Inn is looking forward to providing you blue ribbon service while in Gulfport.Click here for their special rates. Connections Housing continues to act as the Official Housing Company for this year’s Gulf Coast Winter Classics. Through their website you can book, modify or cancel your individual hotel reservations at hotels represented through Connections Housing. Connections offers a secure online housing website wit real-time availability 24/7 and full hotel descriptions including amenity listings, maps and other hotel information. To access the secure housing website, please click here. If you prefer to make your reservations by phone, have any questions or need further assistance, you can speak to a Connections Housing representative by calling 855.464.2556 or 702.476.6976. They will be happy to assist you! Exhibitor parties take place every week either on-site or at local world class casinos and restaurants. These are fun for the whole family! The best news? The Gulf Coast Classic offers the best showing experience for a fraction of the cost of the other shows. Better footing, world renown course designers, a fun coastal town with world class shopping and dining, an airport just 15 miles away-what are you waiting for? Join the Gulf Coast Classic Company on the Gulf of Mexico this winter and discover your new favorite show! The Classic and Gulf Coast Classic Companies are USHJA‘s Members Choice Award winner, recognized for producing top quality show jumping events in the United States. 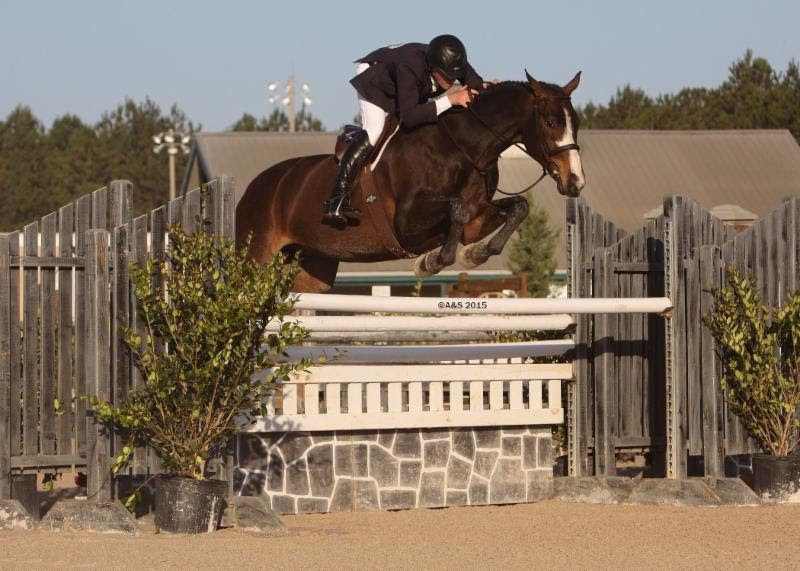 For more information on Classic Company and its exhibitor- friendly, top quality hunter jumper events, please visit them at www.classiccompany.com. All sponsorship, marketing and press inquiries should be directed to Lisa Engel, Sponsorship, Marketing and Public Relations Director at[email protected].